I made a few purchases in the ASOS sale just after Christmas and they finally arrived last night. After lusting over the Essie winter collection minis for months, I couldn't resist when these were reduced down to £12.95. I'm really looking forward to trying out Leading Lady first and then working my way through the others. 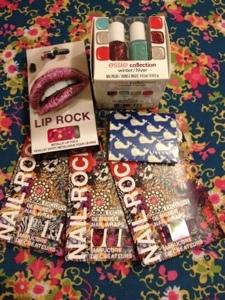 I also picked up a set of ASOS exclusive Nail Rock nail wraps. Featuring three different patterns, each comes with a buffer, nail prep wipe and cuticle stick. 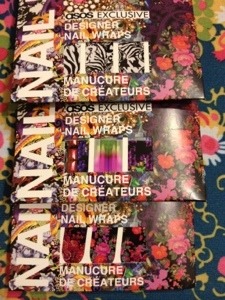 I've used Nail Rock wraps before and they last really well so I will be trying some of these out very soon. I also picked up a set of Lip Rock in pink holographic. These are like nail wraps but for your lips. I thought they looked fun for a party night out. My last purchase was some new blotting papers as mine have recently run out. I just loved the cute whale print on these! 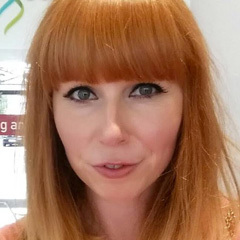 Have you picked up any bargains in the ASOS sale? 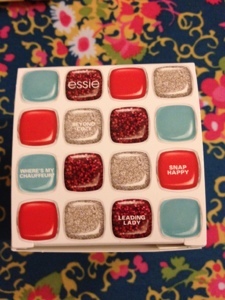 I would've liked to have gotten the Essie set! I haven't used nail wraps before i think they'd be complicated! Nail wraps are ok, you just need a little practice and some patience! Ooooo the Essie looks so pretty! definitely - i will be showing them all very soon. I have been wanting to pick up the Essie winter collection too.